Steve McGill is a high school hurdles coach who understands the unique challenges of coaching the hurdles. In this insightful DVD, McGill explains and demonstrates how you can train your athletes to reach their potential. McGill shares his six intangibles of becoming a successful hurdles coach and then answers the question: Who are my potential hurdlers? This segment provides invaluable tools for identifying the physical and personal attributes of successful hurdlers. You will learn how to test potential hurdlers and which sports best fit a hurdler profile. In addition, McGill offers solutions for practice challenges such as how to manage with limited space and time and solutions for setting up expectations and goals for athletes. To assist you in effectively training your hurlders, McGill lays out a three-phase seasonal planning model and a weekly workout example for each phase. This model is specifically designed with the high school season in mind. On the track, McGill demonstrates a series of four sprint drills to fine tune sprint mechanics - the basis for great hurdling. Through each drill, McGill details the nuances related to hurdling. McGill offers a simplified front side-back side systematic approach to teaching the hurdles and details a 1- and 3-step drill sequence to help train the technique. Included are essential strength exercises and starting techniques. This section addresses the typical challenges of coaching the high school hurdler including: Strategies for knowing when to 4-step and when to 3-step, how to transition between the two and strategies for the 300-400 events. Includes meet day protocol for normal meets and championship meets. 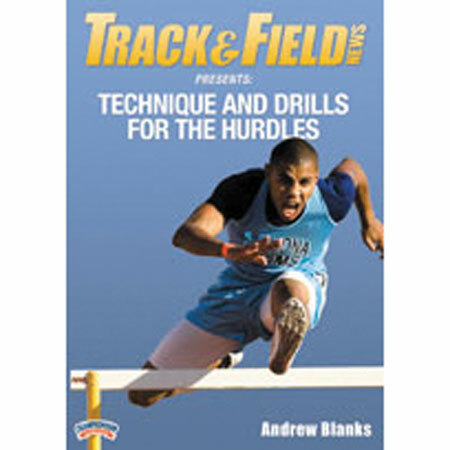 This presentation is the most comprehensive hurdle instructional product that has ever been produced. It is packed full of coaching strategies that address the real challenges of coaching high school hurdlers.